Minnesota doesn’t have a problem with students entering two- or four-year colleges. Most high school graduates do that. But we do have a problem with not enough students completing a certificate or diploma. October, proclaimed “College Knowledge” month by state officials, gives Minnesota students and families a chance to save money and learn more about college completion. 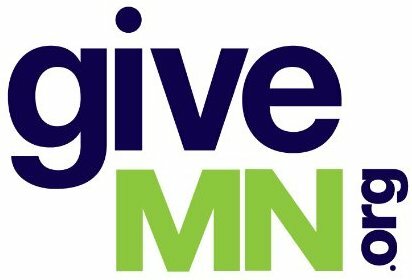 Those savings can help Minnesotans reach an important goal that a newly released poll shows most Minnesotans don’t know about. Here’s the problem. Minnesota Office of Higher Education statistics show that more than 80 percent of high school graduates enter a college or university. But only 61 percent of our young people, ages 25-44, have earned some form of certificate or diploma. The Office of Higher Education shows a huge gap among various groups: 23 percent of American Indian, 27 percent of Hispanic, 35 percent of African American and 65 percent of Asian American and white students have earned a post-secondary certificate at a two-year college, or a four-year degree. As Larry Pogemiller, commissioner of the Minnesota Office of Higher Education, pointed out to me: “Any debt, when you don’t complete a certificate or diploma, is too much debt.” He explained that there’s no economic benefit for students who start, but don’t complete a certificate or degree. Along with this savings opportunity, a newly released poll shows the vast majority of Minnesotans don’t know about an important goal that the 2015 state Legislature set. After studying what Minnesota needs to continue making progress, the Legislature decided that by 2025, 70 percent of Minnesota adults, ages 25-55, should have attained some form of post-secondary certificate or degree. Setting a goal doesn’t guarantee that it will be achieved, but getting there is more likely if people know about it. Most Minnesotans don’t. Center for School Change, where I work, commissioned a statewide poll, conducted in July 2017. Public Policy Polling, a widely respected organization that accurately predicted both national and Minnesota presidential results last year, administered the poll. Rep Bud Norness, R-Fergus Falls, chair of the Minnesota House Higher Education Committee told me he “wasn’t shocked” by the poll’s results. He continued, “We have to keep trying to educate people.” Norness believes higher education must “deliver relevant education that leads to jobs.” He cited an example in Perham, where the local community is not satisfied with some job training programs, and is establishing its own. What do you gain from giving to people recovering from a flood? Joe Nathan raises some very good points in this column, including the recommendation that more of our students choose post-secondary education/training opportunities. Graduating with those skills and knowledge can change their lives for the better. We need to engage all our students in this discussion early and often throughout their schooling. We need to engage parents who will reinforce that important option in their children’s lives. While it’s “better late than never” in discussing this opportunity with students in high school, it’s far better to start the dialogue in elementary school and continue it. It can help them choose to graduate. Success is even higher if schools invite former students who’ve chosen these options to visit classrooms and tell their stories of careers and succeses to young learners.